Lloyd from Leith has a transfiguring passion for the unhappily married Heather. Together they explore the true nature of house music and chemical romance. Will their ardour fizzle and die or will it ignite and blaze like a thousand suns? Ecstasy follows them and others through the backstreets of Edinburgh, stifling suburban sitting rooms and the bright lights of London. Exhilarating and dazzling, this is Welsh at his very best. 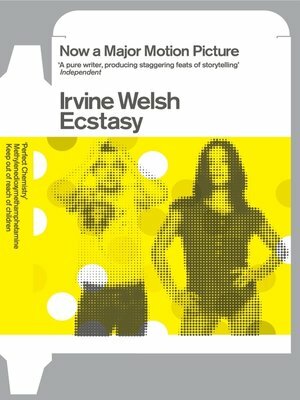 Irvine Welsh is the author of eight novels and four books of shorter fiction. He currently lives in Chicago.